Howgill Side woodland is located on the Howgill Estate, Beamsley, near Bolton Abbey. Howgill Side Woodland is located on the Howgill Estate, Beamsley, near Bolton Abbey. 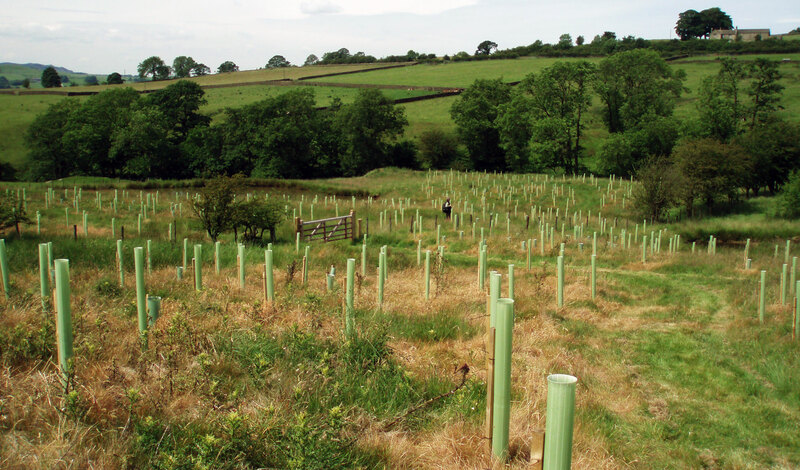 The site covers 14 hectares and is planted with 13,400 native broadleaf trees and shrubs. The planting includes Ash, Downy Birch, Hazel, Holly, Hawthorn, Rowan, Bird Cherry, Alder, Sessile Oak, Goat Willow and Grey Willow. The trees have been individually protected with tree guards to prevent rabbit damage. The site is approximately 3 miles from Bolton Abbey Village. Follow the A59 towards Bolton Abbey and take the unclassified road signposted for Beamsley. Follow this road for approx ½ mile. Limited parking is avalable along the roadside to the right as you climb up the hill before reaching Langbar. Follow the footpath signposted to Harrogate/A59 or walk down the hill and follow the lane signposted Ling Chapel Farm. Proceed along this farm lane to Low Howgill Farm, the footpath turns a sharp left into the woodland. PLEASE NOTE: The woodland is situated on private land - please keep to the footpaths.